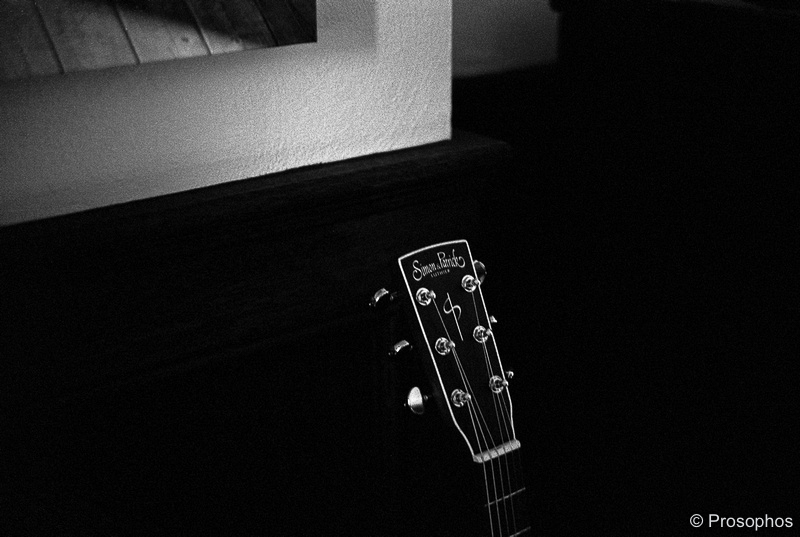 For a long time, I’ve wanted to photograph the headstock of this guitar, at a certain time of the day when a faint stream of light makes its way through the back window of our house. I’ve never bothered trying with my M9, because I knew it wouldn’t quite get it. So yesterday I tried with my newly-acquired M3, as I was testing it for the first time. To my eyes: it got it. ↑Leica M3, 50mm Summilux ASPH @ f/1.4, and Kodak Eastman Double-X (5222). A beautiful shot at any speed, Peter. I’m blessed by the Film Master himself – it’s an honour. Thank you Mark. Wow…nerves of steel for you at 1/8th…Eastman film…TriX i assume? Looks like we share similar passions. Beautiful!